The relentless rain as if it were to swept anything on its way. It had been quite warm the past few weeks and the rains came as respite, as if the rain Gods decided the shower all their affection on that day. The rain was like a call, a summon for the soul from some where far off, of another time, but a familiar one.. With the blustering winds, it was like, the trees decided to dance and filled my heart with inexplicable exuberance. 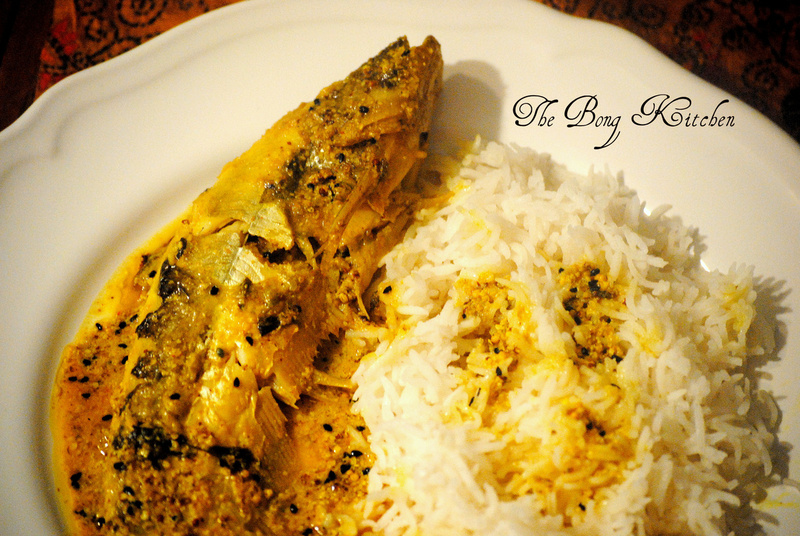 So the food that day had to be something that would satisfactorily revive my Bengali soul and the memory of growing up in Never land. 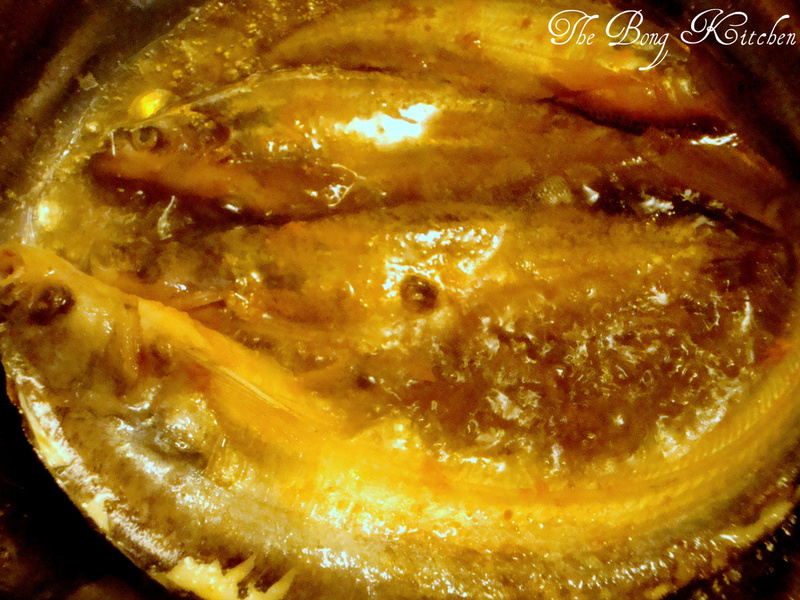 So it was decided Shorshe Pabda… Period!! 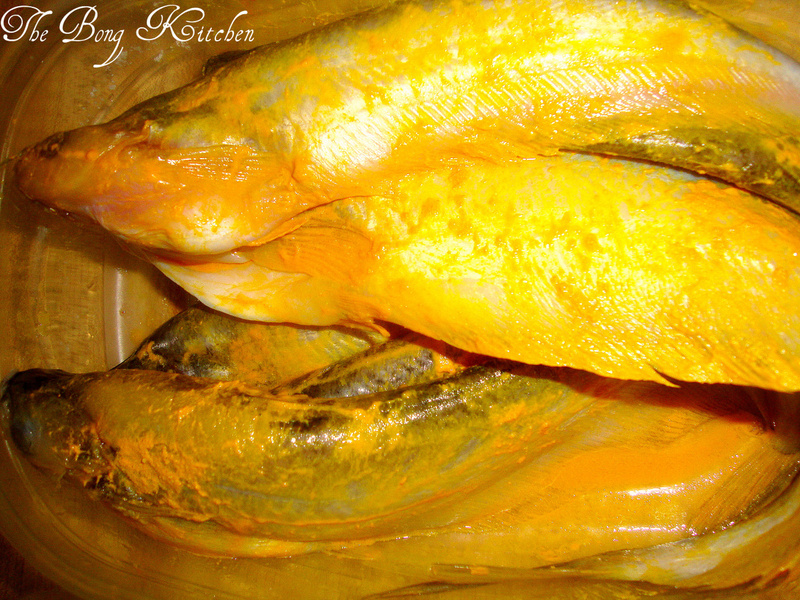 Start by marinating the fish with a teaspoon of turmeric powder and salt, (noon holud makhano as they say in Bengali) and leave it for about 20-25 mins. Now getting the mustard ready. That can be the tricky bit. i personally prefer to extract the juice out of the black mustard paste and use the white mustard as the base of the curry, something I have seen my mum do but you ca use both as the base if you wish. You soak both the white and black mustard (little less than 1/2 cup of water for the black and about 1/3 of a cup for the white.) for about 10 mins, in separate containers. 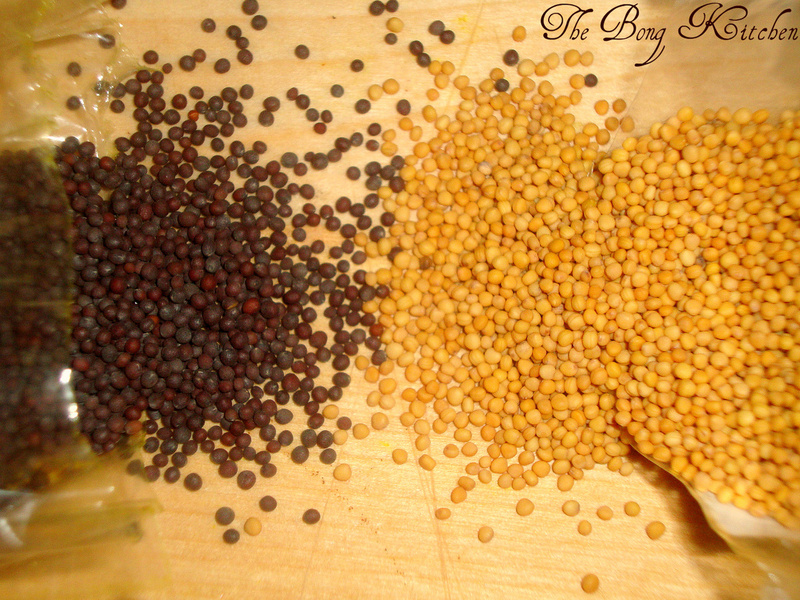 Then start with the black mustard seeds, grind them in the mixer along with the water and then use a strainer (chakni ) one used for tea works great and strain the juice out, leaving the pulp of the mustard seeds. Next grind the white mustard seeds with the water into a smooth paste, make sure it is not watery, if so add 1/2 teaspoon or so of white mustard seeds. Keep it aside. 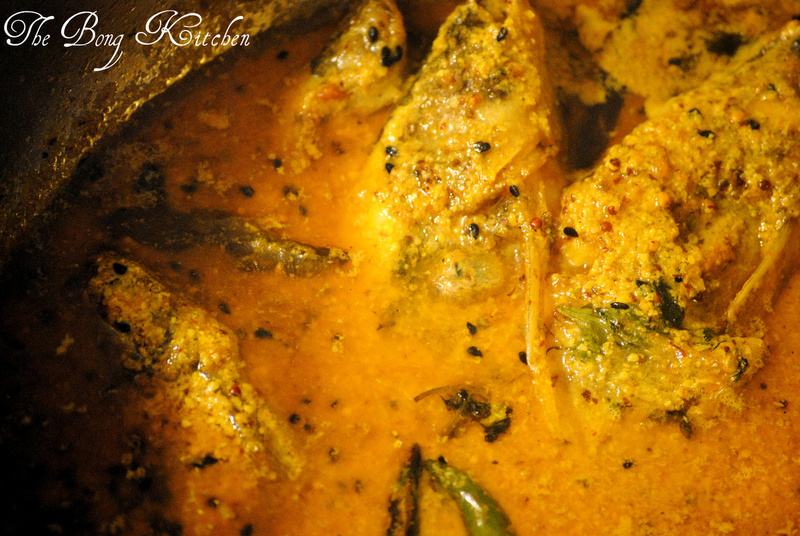 Heat a deep kadhai with mustard oil and lightly fry the fish on both sides. 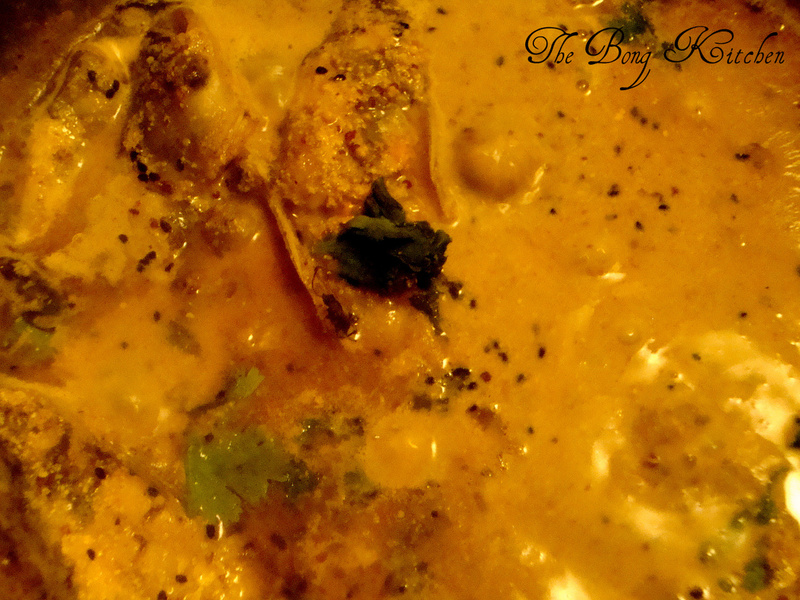 Once done, you can use the same kadhai and the oil add more if you wish for tempering. 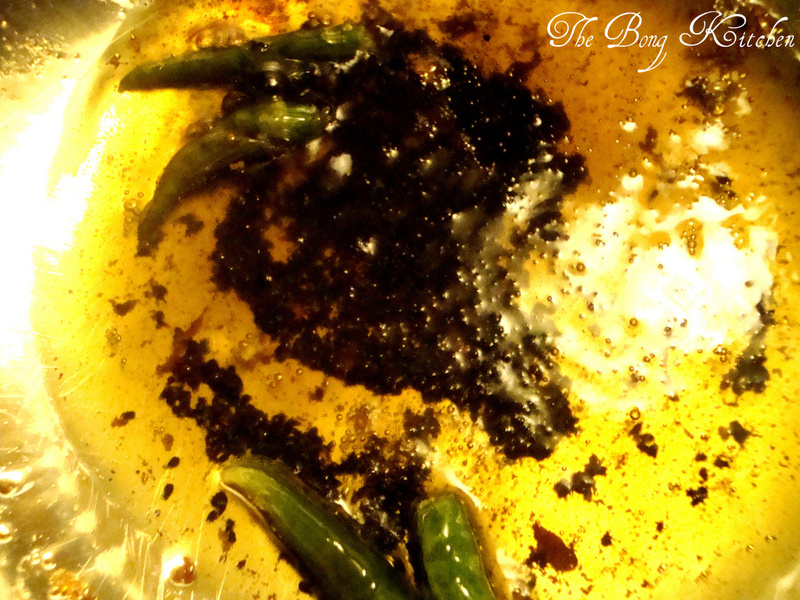 I used nigella seeds for tempering, but panch phoron (bengali 5 spices) can also be used. Add the nigella seeds to the hot oil along with 4 slit chillies, gently temper for about 2 mins at medium heat, when the flavours of the two as fused add the white seeds mustard paste , saute for 3-4 mins followed by turmeric , salt and then add the juice of the black mustard seeds. If you feel the gravy is less, add some more water but take care not to add too much otherwise the flavour of the mustard seeds would not come out well. The best meal on a rainy day I have had in a long long time….